In 1928, young Martha Ivers is returned by the police to Iverstown, Pennsylvania after running away for the fourth time to escape the tyranny of her aunt. When her aunt insults her dead father, then attacks her pet cat with a cane, the child kills her aunt with the cane. Martha’s friend, Sam Masterson, with whom she was trying to run away, flees the scene and joins the circus. Mr. O’Neill, Martha’s greedy tutor, and his weak-minded son Walter, support Martha’s story that the murderer was a strange intruder. In 1946, Sam inadvertently returns to Iverstown when he wrecks his car. He meets Toni Maraceck, who was let out on parole that night on a theft charge of which she is innocent. Walter, now a dipsomaniacal district attorney, is running for political office at the urging of Martha, who is now his wife and runs the family mill, which she has built into a considerable fortune. Although Walter loves Martha, they have a passionless marriage because she has never stopped loving Sam. When Toni is picked up by the police for violating her parole, Sam goes to Walter’s office and appeals to him for help, and Walter assumes that Sam is in town to blackmail him and Martha. When Martha enters, Sam realizes she and Walter are married. He later visits Martha at the Ivers home, where she confesses her love for him. Walter forces Toni to make a deal with him or be sent back to prison, and she sets Sam up, unaware that Walter’s men are going to beat him. Sam awakens from the assault to find himself in a ditch. He then confronts Walter, who accuses him of blackmail. Sam investigates Martha’s aunt’s death in archival newspapers and learns that the case had remained unsolved for years until a man who used to work for the Ivers family was picked up on a small holdup charge and accused of the murder. Walter, who was engaged to Martha at the time, handled the prosecution of the man. Armed with new information, Sam demands half-ownership in Martha’s factory. She later takes him for a drive, and at a hillside campfire, inadvertently confesses to the murder, unaware that Sam never knew. Terrified that Sam will use her confession against her, Martha tries to burn him with an ember, but he kisses her, turning her rage into passion. She then blames Walter for sending an innocent man to die. Later, a drunken Walter orders Sam to the Ivers house and claims that it was Martha’s idea to hang an innocent man. Sick with the knowledge of what they have become, Walter begs Martha for help, then falls down the stairs. Martha tries to seduce Sam into killing Walter while he is knocked out, but Sam gently carries Walter to a chair. Although she pulls a gun on Sam, he walks out. As Martha and Walter watch Sam from the window, he tells her she will always love Sam, but she swears that now she loves only Walter. Walter then presses the gun into Martha’s ribs, and she puts her hand on his, and together they pull the trigger. Walter then shoots himself. Toni and Sam drive out of town, planning to marry and vowing to never look back. 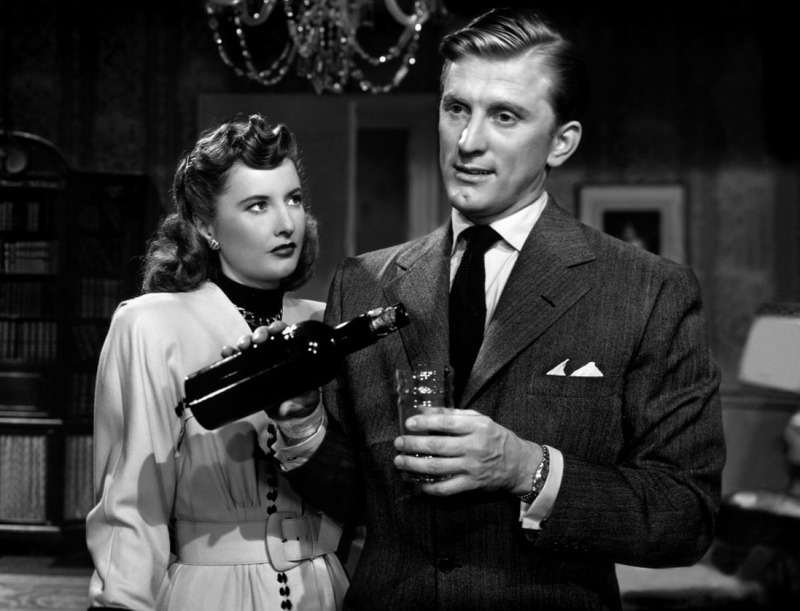 Categories: Store, Videos | Tags: Barbara Stanwyck, Classic Movies, Download, Film Noir, Kirk Douglas | Permalink. 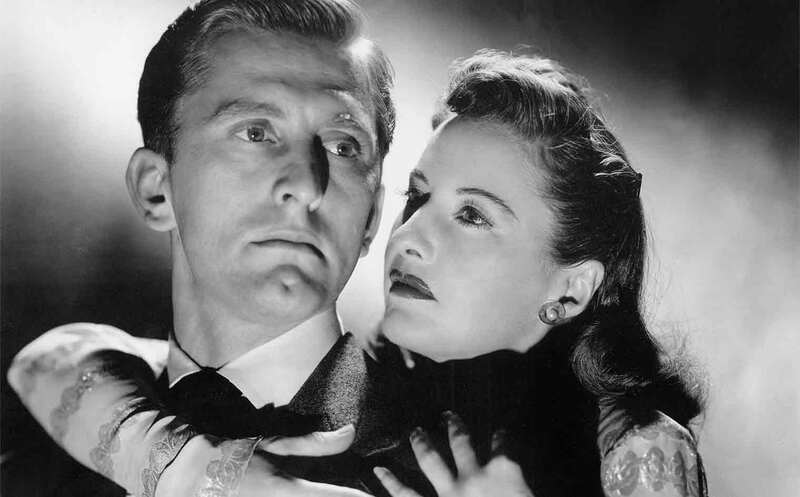 Suddenly is a 1954 American film noir thriller directed by Lewis Allen with a screenplay written by Richard Sale. The drama features Frank Sinatra, Sterling Hayden, James Gleason and Nancy Gates, among others. Categories: Store, Videos | Tags: Classic Movies, Download, Film Noir, Frank Sinatra | Permalink.